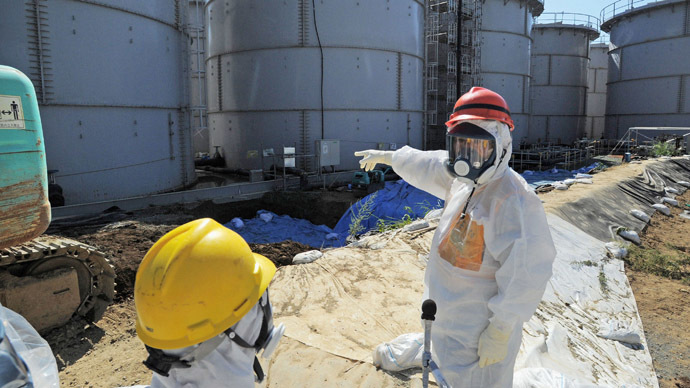 The high radiation readings were detected during the daily inspection on Saturday near three water tanks and one pipe stretched between the tanks and the plant, Kyodo news agency reported. Traces of water leak measuring 230 millisieverts per hour were found below the pipe, the agency added. 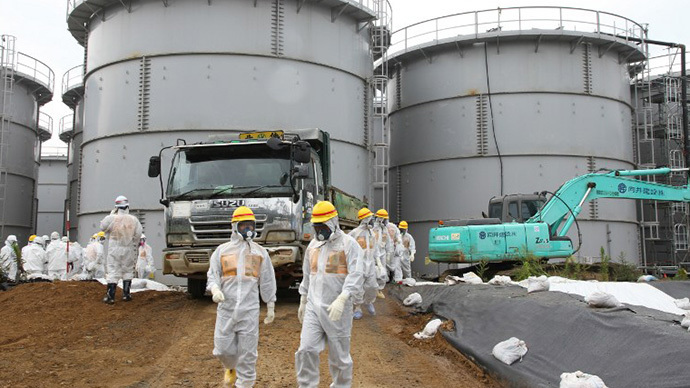 Meanwhile, Jiji news reported a reading of 1,800 millisieverts per hour was near one of the tanks, while the other reported readings measured between 70 and 230 millisieverts. 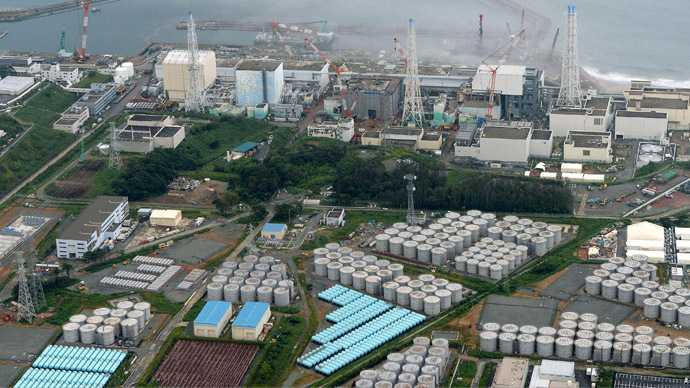 Tokyo Electric Power Co has admitted the peaking radiation readings, but claimed that none of the containers showed any visible fall in their water levels, according to a statement cited in Japanese media. 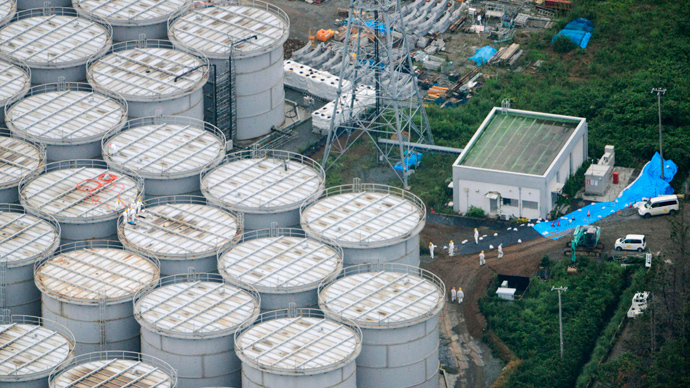 Just last week the plant operator disclosed that at least one of the 1,060 temporary tanks used to store highly contaminated water sprang a leak discharging as much as 300 tons of radioactive liquid containing large amounts of cesium. 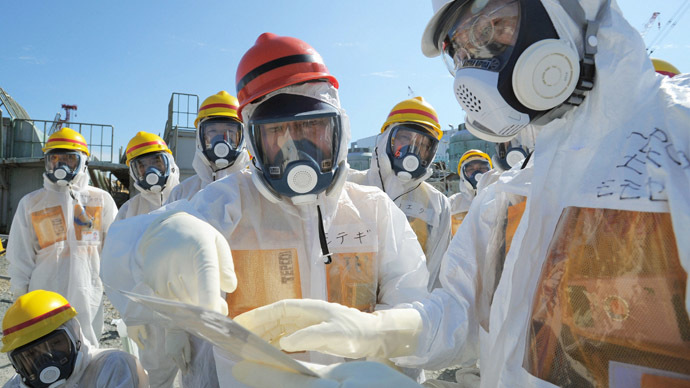 The International Atomic Energy Agency lashed out at TEPCO for ignoring their calls for stepping up patrolling efforts at the plant, accusing TEPCO of being slow in measuring the levels of radioactive elements that have flowed out of the station, as well as publishing its data. 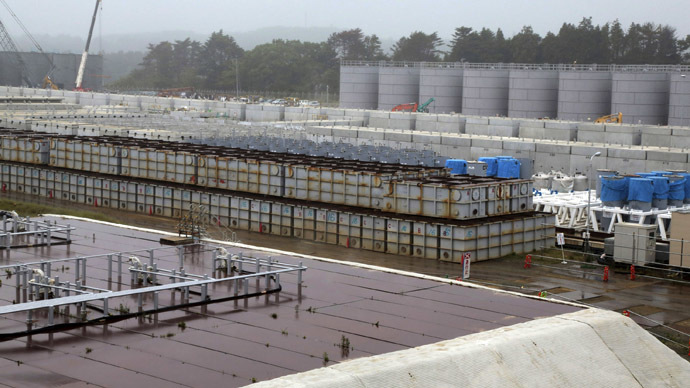 While Japanese government promised it would supervise the clean-up at the plant from then on, most experts say that it could still take between four decades and a century to eliminate the impact of the Fukushima disaster. Dr. Robert Jacobs from the Hiroshima Peace Institute told RT that in Japan most people think the situation at Fukushima is “out of control”. He also warned that should another natural disaster, such as another serious earthquake, occur then the situation would be catastrophic. “There tanks are being put up in an ad hoc manner. Were there to be another serious earthquake you, have all these tanks with massive amounts of contaminated water,” he told RT.